Argan oil is rich in essential fatty acids, which aids hair in retaining moisture and guarding against split ends among other things. Read Hydrate and Smoothen Your Hair with Argan Oil for more information on the profile of argan oil. Due to its high concentration, it’s recommended to use argan oil in small quantities – a few drops is all you need at a time. Most argan oil on the market is produced by a women’s cooperative in Morocco. These cooperatives provide health care and education to women – that’s what I call beauty for a cause! 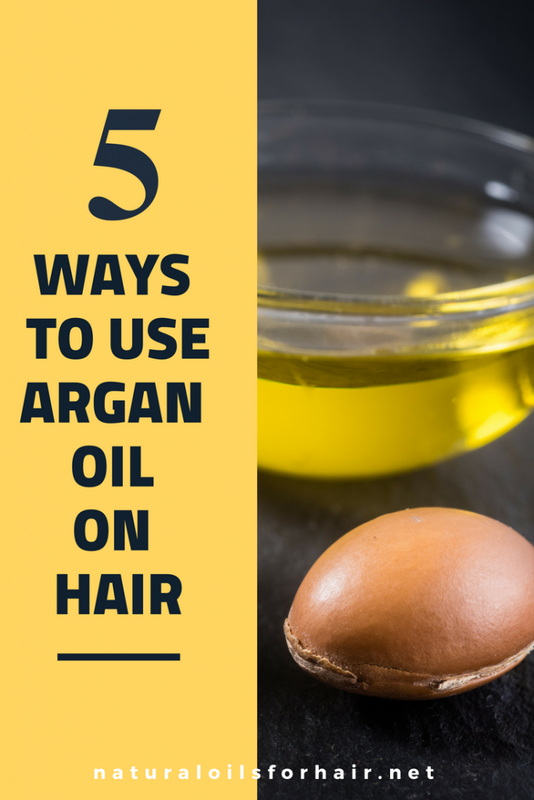 Outlined below are five effective recipes for hair with argan oil. Argan oil is particularly effective for split ends and hair breakage. 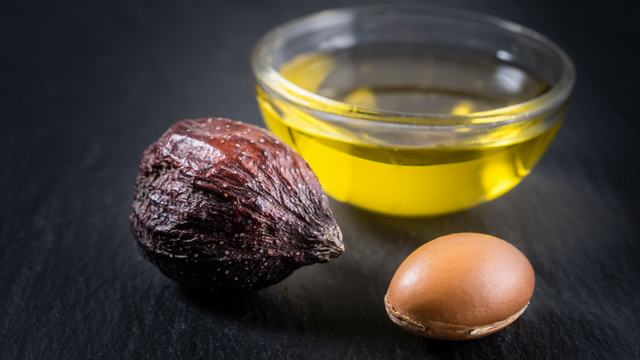 Apply argan oil from the roots to the tip of your hair and massage into the scalp thoroughly then cover with a shower cap and wrap with a hot towel for 30 – 45 mins or overnight if desired. A hair steamer can also be used. Afterward, wash your hair and style as usual – moisture. Sprinkle a few drops of argan oil on your hairbrush before detangling gently. This will promote instant shine and luster. Apply 3 to 4 drops of argan oil to wet hair before styling. Helps protect hair from split ends and keeps frizz in check. Mix 5 drops of argan oil in with your favorite deep conditioner, apply generously to hair and sit under a hair steamer for 20 – 30 minutes – intense moisturization. If you color your hair, this is a fantastic oil to get the moisture back into your hair. Method 1 above is especially good for colored hair. Argan oil can be mixed with other oils but the most complementary oils are sweet almond oil and rosehip seed oil. Which Argan Oil to Buy? Argan oil is best for medium to thick hair. Argan oil can also be used on the face as an anti-aging treatment. Have you tried argan oil on your hair yet? Share your experience in the comments section. For more information about natural oils for hair, health, and beauty, special offers and discounts on the Healthy Hair Care series, sign up for the newsletter below.